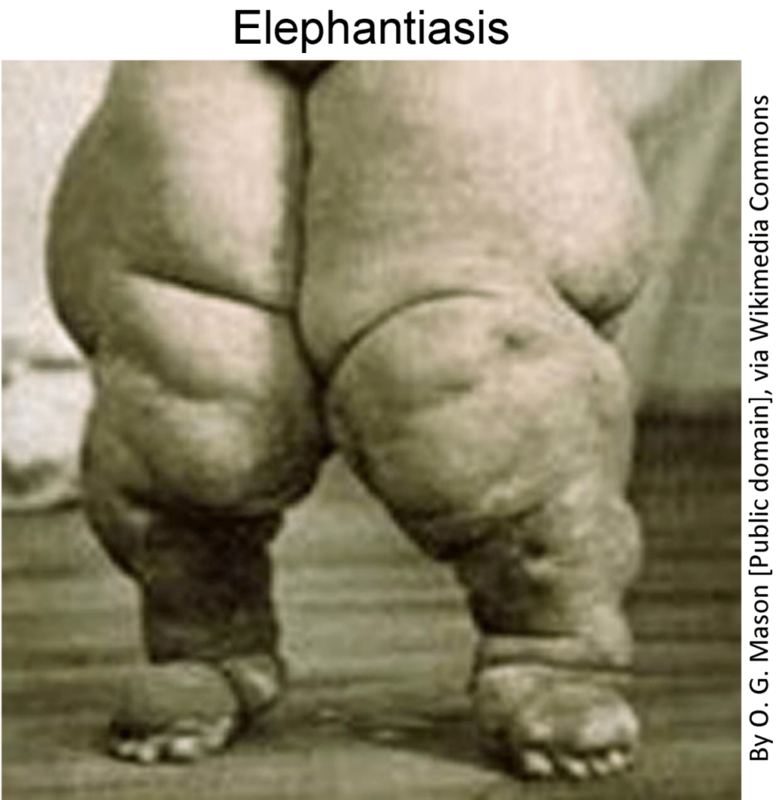 Lymphatic Filariasis, also known as elephantiasis, is a parasitic infection transmitted by the mosquitos Culex, Anopheles and Aedes. 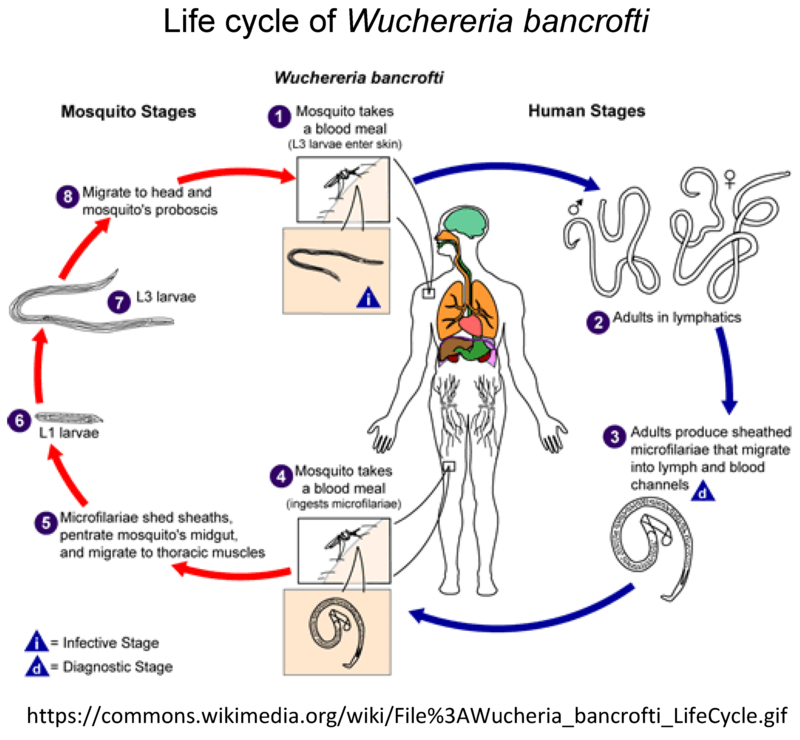 (Click the diagram at the bottom of this page to clearly view the life cycle of the parasite) The disease is commonly known as elephantiasis and it affects the lymphatic system causing pain, swelling and disfigurement of body parts. For details you may refer to WHO Factsheets. Prevent entry of mosquitoes into your house by fixing fine wire mesh or fiberglass mesh in the window openings. Kill all mosquitoes that have already entered. If you are visiting a malaria-endemic area, make sure to take preventive medicine (consult your doctor) and also avoid being bitten by mosquito by using mosquito nets, mosquito-proof rooms or by applying mosquito repellent on the skin. The evaporating liquids and smoking coils that come in various brand names are reported to be harmful. Mosquito hitting electric induction coil bats are extremely useful to finish off the few mosquitoes that may be still left inside an otherwise mosquito-proof room. 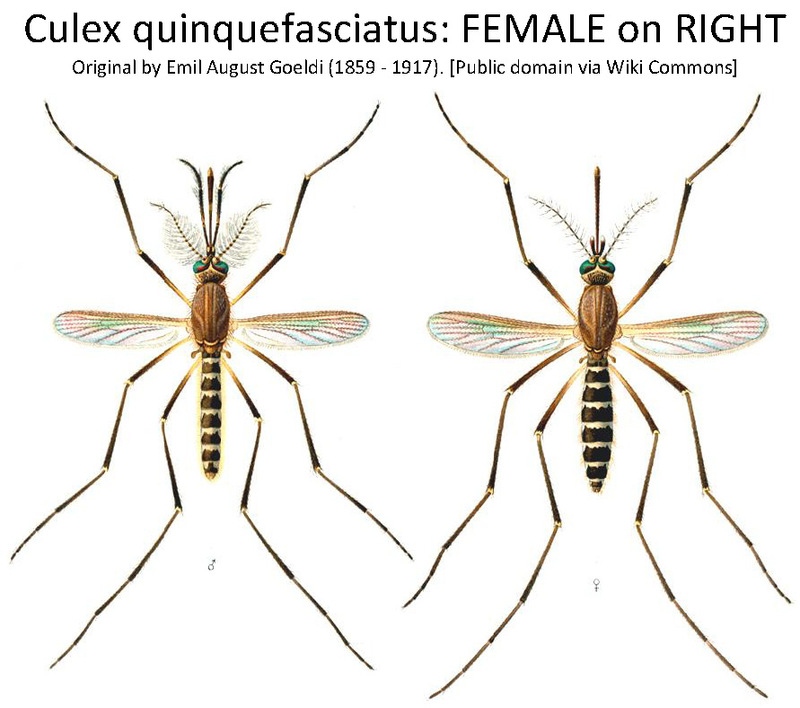 Control proliferation of mosquitoes by emptying water from any open containers left in the open. Car tyres lying around in any position will hold rain water, which cannot be easily emptied. Therefore, if you want to keep old tyres out in the open for some genuine reason, you should either cover their open area fully or puncture large holes everywhere so that water cannot remain in any position. Never keep the top of the air vent pipe of your septic tank (if you have one) uncovered. Use fine wire or nylon monofilament or fiberglass mesh to cover it tightly. Do not let your septic tank partly or fully open. Even a tiny opening is found it must be sealed off. The clear water coming out from the final compartment of the septic tank must be drained into a soak pit which is protected from entry of mosquitoes. This water should never be let outside the house; and no water should be allowed to stagnate around homes. Grow mosquito-larva eating tiny fishes, namely gambusia or guppies in your garden pools or any unavoidable open accumulation of water in and around your premises. These larvivorous fishes do considerable service by eating up all mosquito larvae in the water.